The charges were Rs. 100/- each sketch. Although I talk further with them and got to know other details. Like it takes a minimum of Rs. 500/-, if you ask them out for somewhere else for sketching or just provide them a picture for sketching for a fine sketch. Rs. 1500/- was the rate, if you call them at your home (The package was including family portrait or as many of portraits that could be completed in time). Rs. 2000/- was the amount to be charged, if you need a coloured sketch. Although still I feel that they missed some detailing, but they sure did much better job than mine. 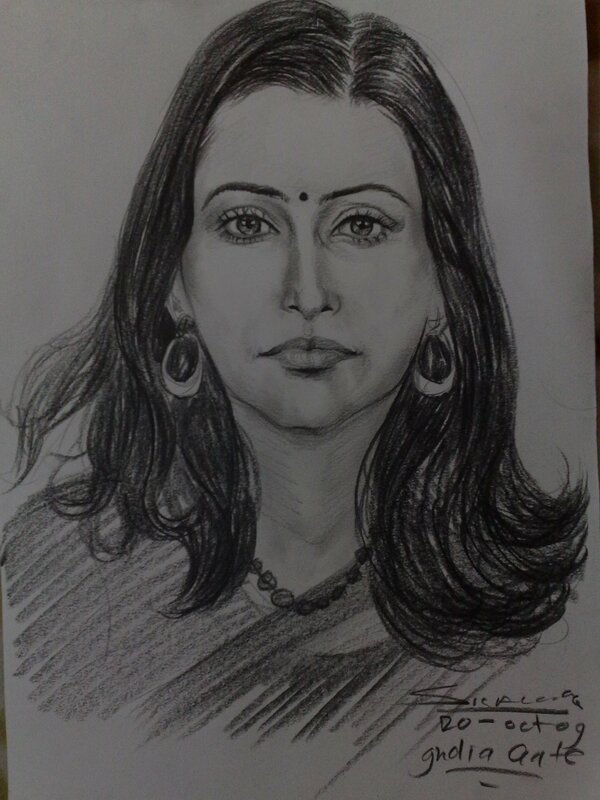 Specially, I am much impressed with Eyes and lips work (even hair work was commendable). Even if it was special Charcoal pencils, but I should try once again with full concentration about this kind of sketching. It was a holiday and I visited India Gate with a friend of mine. Although it was in my mind from last many few days, but the idea finally taken a shape and I decided to give a chance to professional artist sitting there making sketches of people in 30 mins. First of all, it was amazing to watch them that how fast and consistently, they were coming out with live sketches. Agree! It’s their job and living, but still it was good enough considering the light condition at 19:00 and disturbing crowd all around you asking for rates and repeated questions. 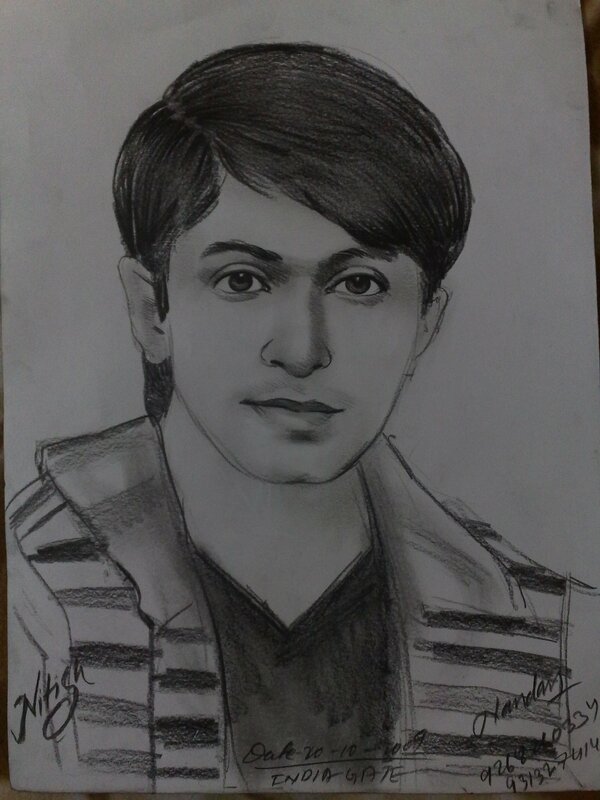 For the people, who like to contact the artists, then Artist for the first sketch was Nandan (Mob. No. 9268260334, 9313274145, 9211774547) and the second one was made by Manbeer (Mob. No. 9990014163). There timings to sit on India Gate was told to me for the period 19:00-23:00. Thnx for sharing information bro.